OpenCms from Alkacon Software is a professional, easy to use website content management system. 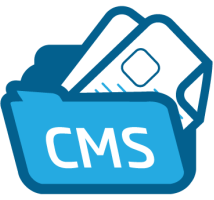 OpenCms helps content managers worldwide to create and maintain beautiful websites fast and efficiently. The fully browser based user interface features configurable editors for structured content with well defined fields. Alternatively, content can be created using an integrated WYSIWYG editor similar to well known office applications. A sophisticated template engine enforces a site-wide corporate layout and W3C standard compliance for all content. OpenCms is based on Java and XML technology. It can be deployed in an open source environment (e.g. Linux, Apache, Tomcat, MySQL) as well as on commercial components (e.g. Windows NT, IIS, BEA Weblogic, Oracle). Sign up for our UK OpenCMS Hosting with no risk to try our excellent service start from £2.99/month! ASPHostDirectory.com offers cheap OpenCMS Hosting to all our new and existing UK customers. You can try our services before buy it. Get FREE 7 days Trial Hosting with us. There's no obligation to buy — you can upgrade to a more robust account or cancel at any time. No risk anymore, why wait longer?